Welcome to the Grinberg Classical Salon Series! I am delighted to host the intimate and enlightening series of Classical music salons on the Upper West Side (NYC), in reviving the great old European tradition of Hausmusik, followed by an elegant food-and-wine reception with the guest artists. I believe these salons offer a truly unique, enriching, and inspiring musical experience to the community on the Upper West Side and beyond. For the upcoming Winter / Spring 2016 season, I invite you to the Winter-Season opening salon on Saturday, January 16th, 2016, at 4 p.m. & Sunday, January 17th 2016, at 5 p.m., in which I will be joined by the excellent violinist Keiko Tokunaga and cellist Hamilton Berry in an impassioned piano trio program in celebration of 225th birthday of Carl Czerny (1791-1857) – the famous pupil of Beethoven and the teacher of Franz Liszt – featuring Czerny’s brilliant and seldom-heard Grand Duo in A Major, paired alongside Beethoven’s electrifying “Ghost” Trio and Schubert’s sublime Trio No. 1 in B-flat Major. Speaking of teachers and pupils, I am greatly looking forward to my four-hand piano salon with my own beloved piano teacher and world-renowned pianist, Oxana Yablonskaya, on Saturday, March 26th, 2016 – stay tuned for program details! I will also be presenting and performing with my other extraordinary colleagues, including violinist Emilie-Anne Gendron, flutist Jesse Han, clarinetist Anton Rist, violist Kenny Wang, guitarist Arthur Kampela, and soprano Patricia Sonego. For the complete lineup of the Winter / Spring 2016 salon calendar, see below. Each salon program is unique and NOT to be missed!!! PS: If you would like to be added to the salon email guestlist and / or considered to perform in the Grinberg Classical Salon Series, please contact Dr. Yelena Grinberg at ygpiano@gmail.com or sign up here. 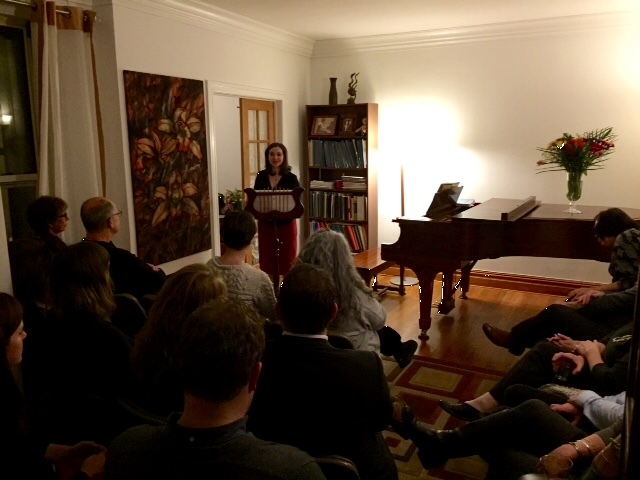 To read an article about the Grinberg Classical Salon Series – “Live from the Living Room” – published by the West Side Spirit newspaper, click here. Saturday, January 16th, 2016 at 4 p.m.
Sunday, January 17th, 2016 at 5 p.m. 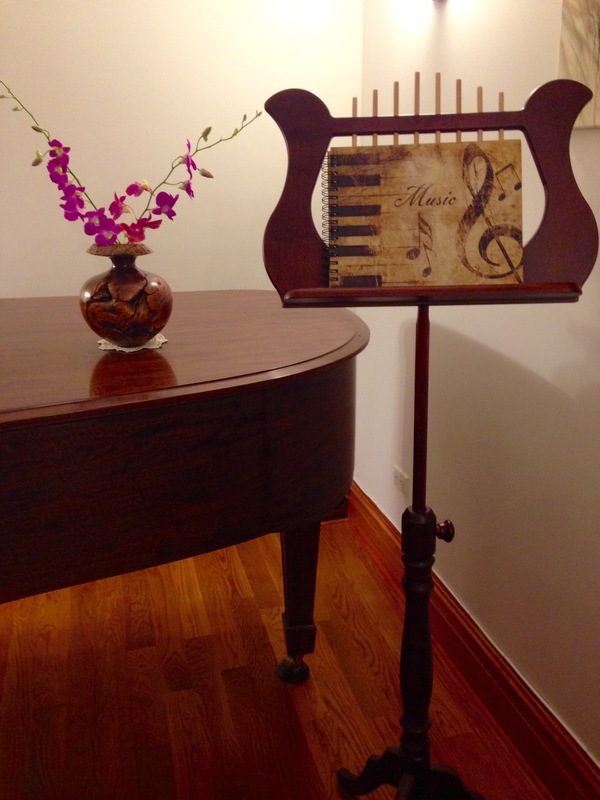 I am delighted to host the intimate and enlightening series of Classical music salons at my home on the Upper West Side (NYC), in reviving the great old tradition of Hausmusik, followed by an elegant food-and-wine reception with the guest artists. This Winter / Spring 2015 season will kick off with my solo piano lecture-recital, Flights of Fancy in F-Sharp, on Wednesday, January 7th, 2015, in which I will perform seldom-heard, highly original and fantastical works by C.P.E. 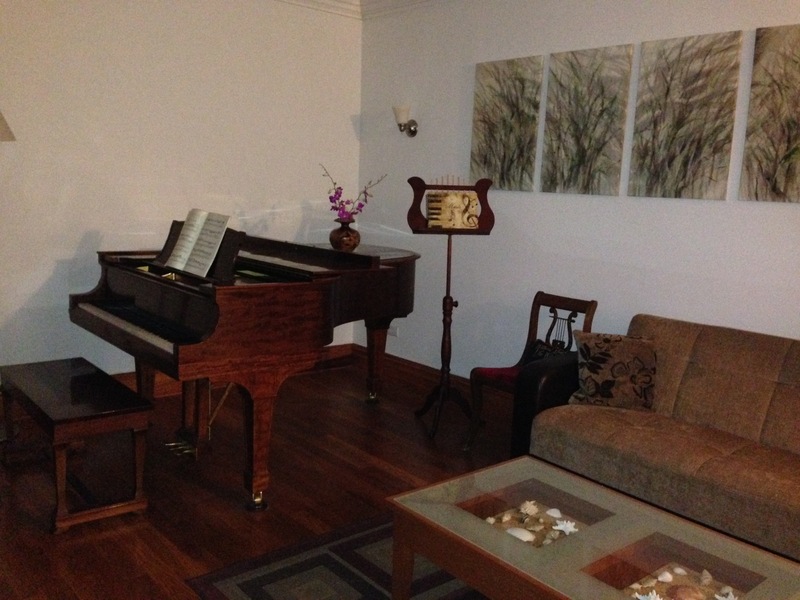 Bach, Beethoven, Mendelssohn, and Schumann. I will also be joined by several of my superb colleagues and friends, including the legendary American pianist, Jerome Lowenthal, violinist Emilie-Anne Gendron, cellist Michael Haas, sopranos Karyn Levitt and Patricia Sonego, and composer / guitarist / singer / songwriter, Arthur Kampela, for a series of exciting chamber music salons, which will include the delightful musical and spiritual journey through J. S. Bach’s complete Six Sonatas for violin and keyboard on Sunday, Feb. 15th, NOT to be missed!!! And, the Fall 2015 season will be devoted to the joint celebration of 330th birthday of J. S. Bach (1685-1750) and 175th birthday of P. I. Tchaikovsky (1840-1893). Don’t miss the season opening salon on Sunday, September 13th, 2015, at 5 p.m., which will be my solo lecture-performance in homage to three Baroque Masters – Handel, Scarlatti, and Bach – coincidentally, all born in 1685. In subsequent salons I will be joined by my fantastic colleagues, including violinist Emilie-Anne Gendron, cellist Hamilton Berry, soprano Patricia Sonego, speaker and pianist Madeline Bruser, clarinetist Anton Rist, violist Edward Klorman, and flutist Lisa Arkis. The Fall season will conclude on Sunday, December 13th, 2015, at 5 p.m. with my all-Tchaikovsky solo piano program, which will include the all-time favorites: the picturesque The Seasons, op. 37a (1876) and the festive The Nutcracker Suite, op. 71a (1892), just in time to celebrate the holidays! 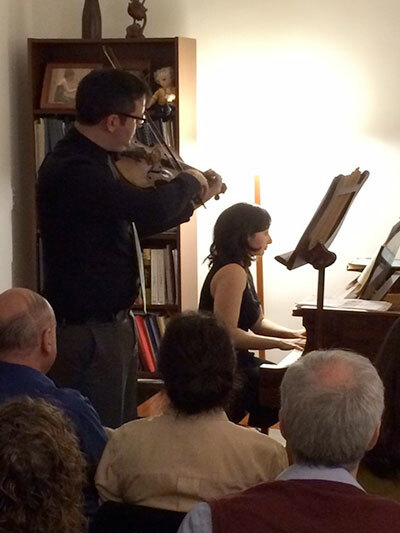 Click here to read an article on the Grinberg Classical Salon Series, entitled “Live from the Living Room,” published by the West Side Spirit newspaper. Lastly, I would like to thank all my kind sponsors for their generous donations to my salon series. If you are interested in learning more on how to become a sponsor of the Grinberg Classical Salon Series, click here. I look forward to seeing you all at my salon series! Wednesday, January 7th, 2015, 6:30 p.m.
Sunday, January 11th, 2015, 5 p.m.
Sunday, January 25th, 2015, 5 p.m.
Saturday, January 31st, 2015, 5 p.m.
Sunday, February 1st, 2015, 5 p.m.
Sunday, February 15th, 2015, 5 p.m.
Sunday, March 22, 2015, 5 p.m.
Wednesday, March 25, 2015, 7 p.m.
Sunday, April 12th, 2015, 5 p.m.
Sunday, April 19th, 2015, 5 p.m.
Sunday, May 10, 2015, 5 p.m.
Sunday, May 31st, 2015, 5 p.m.
Sunday, June 7th, 2015, 5 p.m.
Sunday, June 14th, 2015, 5 p.m.
Wednesday, June 24th, 2015, 7 p.m.
Sunday, June 28th, 2015, 5 p.m.
Wednesday, August 26th, 2015, 7 p.m.
Sunday, August 30th, 2015, 5 p.m.
Sunday, September 13th, 2015, 5 p.m.
Sunday, September 27th, 2015, 5 p.m.
Wednesday, September 30th, 2015, 7 p.m.
Sunday, October 4th, 2015, 5 p.m.
Wednesday, October 7th, 2015, 7 p.m.
Sunday, October 18th, 2015, 5 p.m.
Madeline Bruser, a renowned pianist, speaker, and author of The Art of Practicing: A Guide to Making Music from the Heart, has helped musicians all over the world to discover a whole new way of practicing to overcome tension, struggle, and self-criticism, and to replace them with ease, joy, and self-appreciation. 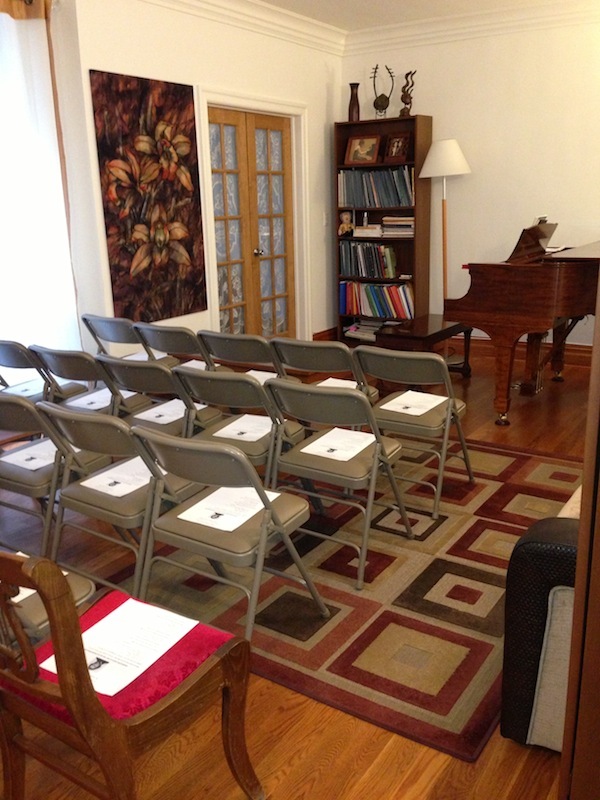 In this special salon, she will describe her approach and demonstrate it in a lesson with a pianist she has never taught before. Whatever your instrument, come learn new ways to use your body, mind, and senses to make music from the heart and to turn your practicing into a nourishing experience of full-bodied joy and curiosity, unleashing your communicative power in making music. Q&A will follow the talk and demonstration. Saturday, October 24th, 2015, 4 p.m.
Sunday, October 25th, 2015, 5 p.m.
Sunday, November 8th, 2015, 6 p.m.
Wednesday, November 11th, 2015, 7 p.m.
As the Fall 2015 season is coming to a close, I invite you to my Season Finale on Saturday, December 19th, at 3:30 p.m. & Sunday, December 20th, 2015, at 5 p.m., in which I will be presenting an all-Tchaikovsky program in celebration of Tchaikovsky’s 175th birthday this year. My program will feature Tchaikovsky’s all-time favorites, including the picturesque Seasons, op. 37a (1876), the witty Humoreske, op. 10 (1870) and the festive Nutcracker Suite, op. 71a (1892), in composer’s arrangement for solo piano, just in time for the holidays! Earlier this Fall, it was a great joy and honor to have hosted and performed with some of my incredibly talented colleagues, including violinist Emilie-Anne Gendron, cellist Hamilton Berry, soprano Patricia Sonego, speaker and pianist Madeline Bruser, clarinetist Anton Rist, violist Edward Klorman, and flutist Lisa Arkis. I am also very grateful for the recent article published by the West Side Spirit newspaper about my salon series, entitled “Live from the Living Room,” which you can read by clicking here. Finally, my salon series would not be possible without the kind donations of my salon sponsors. Thank you, all, for your generous contributions to my salon series this year. If you are interested in becoming a sponsor for the Grinberg Classical Salon Series and want to learn more, click here. Sunday, November 22nd, 2015, 5 p.m.
Saturday, December 19th, 2015, 3:30 p.m.
Sunday, December 20th, 2015, 5 p.m.